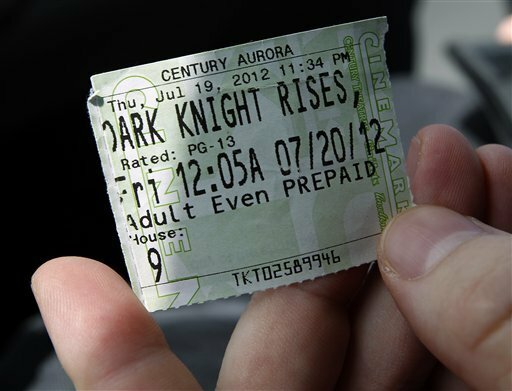 Now that the date of the release of The Dark Knight Rises and this visual Bane is upon us, let's look at the fact the film is opening on July 20, 2012. 7.20.2012. 20.7.2012. Will any events take place on July 20, 2012, of any import? Dates of movie releases have had strange links. The day of neo-Nazi Breivik's massacre in Norway (July 22, 2011) was the day of the release of the film Captain America (July 22, 2011), with the first scene taking place in Norway, to the sound of Nazis' rapid fire machine gunning. A bizarre coincidence, to say the least. I reviewed the dates of the other Dark Knight trilogy movies. 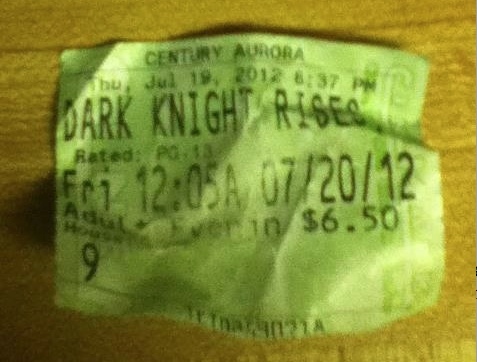 Something was telling me that The Dark Knight Rises would be the focus of a violent event. I'd been writing for a week of TDKR/Bane, and had penned items back in 2008-2009, on the violent wave of Joker copycats. The IMAX re-release of The Dark Knight on January 23, 2009, for example, took place on the exact date of the Joker copycat mass killings at the Belgium daycare (see Dendermonde Joker). My feeling was that an earthshaking event was going to occur on July 20, 2012. When July 20th arrived, our wait for news was not long. It was soon after midnight, Mountain time, when we all learned that it was at a first release showing of The Dark Knight Rises that tragedy had struck. 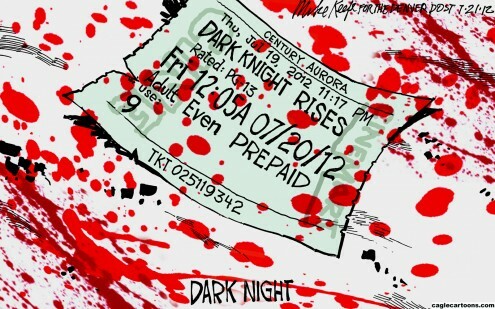 In Colorado's Aurora, literally, "red dawn," the new morning greeted all of us with the news of the mass shooting. I have made predictions before. In 2005, on March 18th, I wrote "...a possible series of school shootings from March 20th through April 20th could occur...I hope not, but every indication is that the media is entering its first post-9/11 'shooting rampage' feeding frenzy, and as March nears its end, and into April, 'school shootings' could be next." The Red Lake massacre was an incident of spree killing that occurred in two places on the Red Lake reservation in Red Lake, Minnesota, United States. The first murders began on the morning of March 21, 2005, when 16-year-old Jeffrey Weise killed his grandfather and his grandfather's girlfriend. He later drove his grandfather's police vehicle to Red Lake Senior High School, where he shot and killed seven people on the school campus, comprising five students, one teacher and an unarmed security guard, and wounded five others. The shooting ended when Weise committed suicide....[It is] the second deadliest massacre at a US high school, only behind the Columbine High School massacre. Then after seeing the Dawson College shooting of September 13, 2006, as a precursor for renewed mass shooting activity, I predicted the Bailey, Colorado shooting, which was then the immediate blueprint for the Amish school shooting that happened a week later. In 2006, the media began to mention my predictions. Stories in widely diverse outlets, such as Boing Boing and the CTV news, acknowledged my writings. But there is no magic here. I observe and predict. As CTV put it: "While Coleman's email may now seem eerily prophetic, he told CTV.ca his prediction two weeks ago was simply the result of observing patterns among widely-publicized events." In the Fall of 2006, I predicted a major school-related shooting would occur, with a "higher body count" during the week of the anniversary of the Columbine shooting in late April 2007. I reinforced this future insight, when in March 2007, I wrote that "deadly outbursts in school settings that are similar but radically more violent than in recent memory" would occur during that "red danger zone" on the calendar. Unfortunately, that prediction came true when the VA Tech massacre occurred at Blackburg, Virginia, on April 16, 2007, leaving 33 dead and 17 injured. Please do not misread me. I am not delighted that my predictions come true. There is no glee in my tone but sorrow that the helpful and obvious predictive nature of this phenomenon is not used by others. Sometimes people only pay attention if there are results. If something can be validated and used by others, that's what this is all about to me. Ignoring the assistance that people can get from "reading" the indicators is unfortunate. 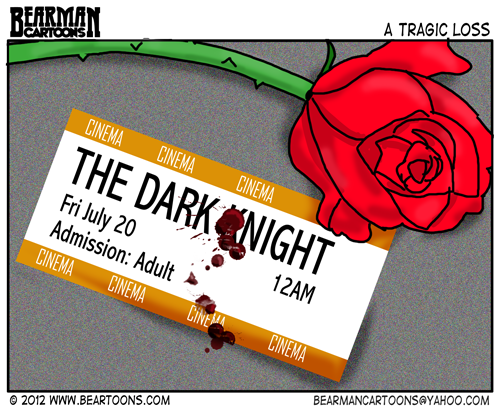 Seeing school shootings, workplace killings or theater massacres occurring is tragic and sad. I'm the first one to feel that way, especially since I've had to deal with the aftermaths of such situation too often in my life and profession. There are keys here. I have written about them so people will start paying attention. Sometimes the cosmos then tries to reinforce the synchromystic signals by throwing images in our faces. After July 20th, the images of Aurora starting popping up everywhere, for everyone, including right in front of me on the highway! At the beginning of the Skyfall (James Bond film) trailer shown before The Dark Knight Rises that I saw on July 20, 2012, at an IMAX. And tomorrow? August 3, 2012. The two-week mark of the Aurora shooting. What should we expect? I don't know. But what I have seen is a former pattern of a peak in copycats at the two-week anniversary. 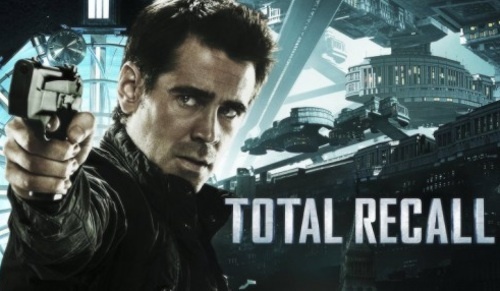 I also notice that August 3rd is the release date of Total Recall, a dark, futuristic spy thriller. The lead character has the name Hauser. Hauser comes from the Middle High German hus "house," German Haus + the suffix – er, denoting someone who gives shelter or protection. 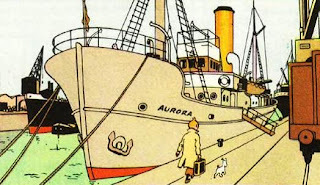 Aurora has its Holmes. What does it mean that Total Recall has a Hauser, a home protecter? Perhaps nothing. But, then again, perhaps something positive? Did James Holmes Call Diggity Dave? Do you think it would some day be possible to create some sort of computer program, capable of showing probable hot spots of copycat activity, which would be helpful for police authorities in order to increase security measures? Red Pill Junkie, actually yes. I'd heard of that 'Minority Report brought to life' idea. Don't know if they would factor copycat shootings or suicide clusters, though. As long as it doesn't turn into a Fascist move to treat everybody like potential criminals, then it might be a good thing. Re "What does it mean that Total Recall has a Hauser, a home protecter?" 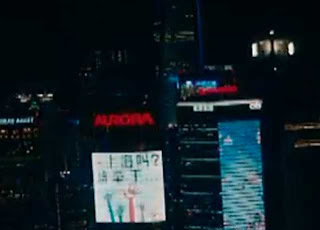 Please note that 'Minority Report' (also) psychologically prepped Amerika for the computer/cell phone technology with Tom Cruise's character dragging/moving computer page images around with just his fingers/hand. That was *not* in use and seemed very futuristic at the time of that movie. Now, the phones have it for all to see/use. *Anyone* asking for premonitory crime control is following Lucifer. Amerikans will *always* ask for their own demise. They scream for it and then flock to it. Middle High German spiegel ‘lookout point’ + berg ‘mountain’, ‘hill’. QUESTION: Is it premonitory or is it the 'staged' psych prep of Amerika? a usually high-flown talk or speech, especially for the purpose of luring people to a movie, a sale, etc. ; pitch. which was posted on the day the movie came out. I thought Chris was downplaying it's release so I felt I just had to leave a comment and express my unsettling feelings about the film. "I know I'll get my Super Illuminati-Fighter secret decoder ring repossessed for saying so, but right now I don't see anything happening in London but dreary, obsolete sporting events and sogginess." I hope that you are right Chris,but the time is ripe for a last desperate lunge at the line by the military industrial Complex. I'm sure their sights are set on the Iranian oil fields. "all is quiet before a storm". The best way to scare an audience is to lull them into a nice relaxed state...then BOO !!! But I hope the event turns out as dreary as the weather that they are having at the moment...and that we don't see a false flag flying among the real ones. Whilst my comment was directed more towards the Olympics,the analogy of the audience being scared was said with me imagining that I was sitting in an audience watching "The Dark Knight Rises"
when the bad guy makes his appearance by scaring the audience,who have been lulled into and relaxed state by the film makers. For some reason I kept thinking of the Joker going "Boo" and then laughing at the shock he had delivered. Of course the Joker wasn't in this one,but that was the image in my head,for some reason. Chris updated the post the day after. "Most important to note about James Holmes, however, this report says, is that his father, Robert Holmes, was said to have been scheduled to testify within the next few weeks before a US Senate panel on the largest bank fraud scandal in world history that is currently unfolding and threatens to destabilize and destroy the Western banking system. Robert Holmes, whose "blueblood" family links go back to the Mayflower, is known throughout the global banking community as being the creator of one of the most sophisticated computer algorithms ever developed and is credited with developing predictive models for financial services; credit and fraud risk models, first and third party application fraud models and internet/online banking fraud models." "According to floor traders, Knight staff working on the NYSE's floor were in the dark as well." This all syncs rather eerily with Bane's computer attack at the stock exchange. Apparently, the last time a computer glitch caused this much financial panic was in March when BATS (you can't make this up) Global Market Exchange, Inc. was forced to withdraw its IPO. Total Recall includes the Red Planet - Mars , as part of the story. The hero in the short story is Douglas Quail, a small man who wants to be something bigger and better. Quail = bird, and also to show apprehension. Interesting eh? 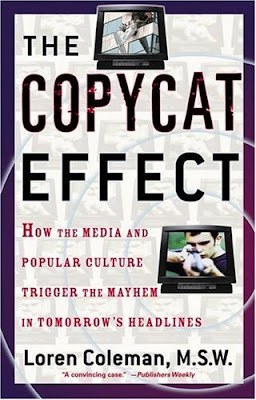 Mr. Coleman, I have read enough of your posts to believe the Copycat Effect is totally plausible, very difficult to refute. But I'm not sure why you go into coincidences so much. Name symbolism, ladies in red showing up at the Olympics etc. I do this kind of thing as a poetic exercise. Writers such as Michael Hoffman believe these are indications that a "cryptocracy" is staging events for their own nefarious agenda. I suppose I could agree that these synchronicities are in the air and thus play into the copycat effect. 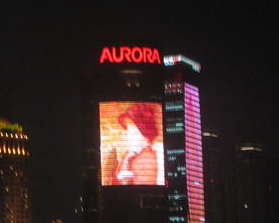 To be honest, I'm not sure what your getting at when you talk about the meaning of names and show things such as "Aurora" on a building in a trailer. Are you suggesting a conspiracy or what exactly? Not being facetious or snarky, just a bit befuddled. (2) Watch your thoughts; they become words. The Universe operates on repeating energy patterns (REPs). Whenever patterns are developed, they are BOUND to repeat (your copycat effect) in some way, shape or form, not exactly but close enough for us to experience the similarity. Addiction, serial crime, habits, etc. It is absolutely everywhere. SUMMARY: One would have to be an absolute ninny to think that the patterns developed in the movies (and elsewhere) will not repeat. The Creator just plain IS, who gave all of humankind the greatest gift of all, that of FREE WILL. Be so very careful what you do with that gift. 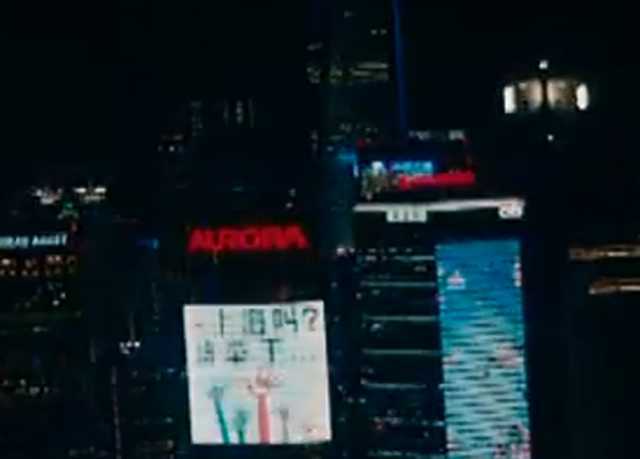 Another Aurora Copycat? Or Overreaction? FRC Shooter Floyd Lee Corkins II? Romney's Red Dawn? Actually Not! Who Was Wade Michael Page?